What Is a Circular Polarizer When Talking About Photography? A circular polarizer is kind of filter which can dramatically effect the light entering a camera’s lens. circular polarizers are able to selectively absorb or pass certain wavelengths of circularly polarized light, reducing reflections and glare from non metallic objects such as water or the sky. 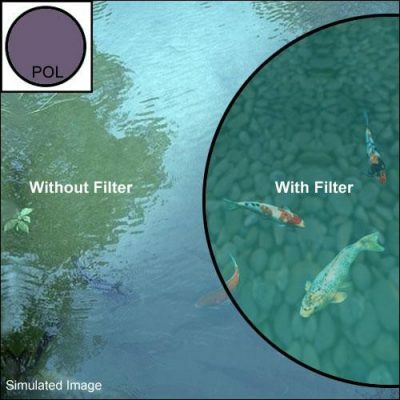 The correct use of a circular polarizer for can for example transform the surface of water from a seemingly impenetrable reflective barrier to a nearly entirely translucent window into the underwater world. Circular polarizers are widely used in wildlife and landscape photography where the elimination of reflection and glare can add significant detail and depth to an image.